The highlight of the week: I ran a 5k PR! Last year I placed 3rd at Women Running Wild with a time of 20:49 and this year I was 2nd in 20:45. I actually didn’t even know it was a PR until hours later. I’ll take it! 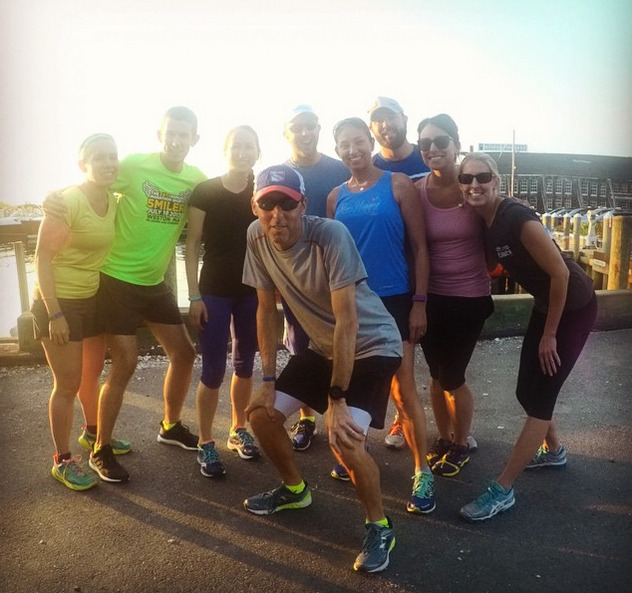 I also had a great time at Rogue Run Club! I met up with friends on Friday night for a sunset run through Osterville ending with apps & drinks at the Islander for Stacey's birthday! I even finally met baby Catherine, the youngest member of Run Club! The low point of the week: My doctor sent me for blood work and my ferritin was a 3 (normal levels start at 12) so they are sending me back for more testing to see what exactly is going on. Good news is I’m finding this out early before Houston training begins! It’s also nice to know there is a reason for me being so tired lately. In other news, I have officially started the Jacobs Ladder Climb Mt. Everest Challenge at work! I’m going for 29,035 feet! Let’s do it! · This weekend I will be attending the RRCA Coaching Certification Course in Hyannis, MA and I AM SO EXCITED!! Happy Father’s Day! & hooray for the first day of Summer!